Gujarat is popular for its historical beauty and modern architecture. Unknown to many, Gujarat is also home to several national parks and wildlife sanctuaries where you can watch the best of natural beauties in the form of vegetation, animals and birds. Gir Forest National Park, also known as Sasan Gir, is one amongst these natural spaces in Gujarat which has been nurturing the wildlife for decades. Would like to plan a trip from Ahmedabad to Gir Forest National Park this weekend? As the region in and around Gir Forest National Park experiences a tropical wet and dry climate, you can visit Sasan Gir throughout the year. However, if you are looking to capture the beauty of diverse wildlife in Gir Forest National Park, then the best time to visit this national park is from September until the end of April as during this time you can also spot several migratory birds along with numerous wild animals coming out in open to enjoy the pleasant atmosphere. By Air: You can take a flight to Diu and then from there you can hire a cab to Gir Forest National Park. Diu Airport is located at a distance of about 65 km from the national park. By Rail: There are no direct trains available between Ahmedabad and Sasan Gir. However, you can catch a train to Junagadh and then from there, you can hire a cab to Sasan Gir. By Road: Located at an approximate distance of 350 km, Gir Forest National Park is easily accessible by road from Ahmedabad and other cities. If you are looking to reach your destination within minimum time, then it is advisable to take route 1 as it will take 1 hr lesser in comparison to route 2. While on your way to Gir Forest National Park, you can take a break at the following places. Also spelled as Salangpur, Sarangpur is a tiny village located in the Botad district of Gujarat. Known for its historic temples and numerous monuments, Sarangpur can be your first stoppage en route to Sasan Gir if you want to learn about the history of the region around Ahmedabad. You can also spot several peacocks in the gardens of Swaminarayan Temple. The major tourists' attractions in Sarangpur include Swaminarayan Temples, Yagnapurush Smurti Temple and Sarangpur Gate. Amreli is one of the major districts in the western part of Gujarat and is known for its temples and ruined forts. The history of this city stretches back to the 6th century when it was a small town named Anumanji. However, through several inscriptions at Nagnath Temple, it is found that Amreli was formerly known as Amarpalli. Today, this historical city is unknown to many. How about taking a break at Amreli and revealing its history through old monuments such as Nagnath Temple, Tower of Amreli and Palace of King? Officially established in 1965, Gir Forest National Park is one of the oldest wildlife sanctuaries in the state of Gujarat. Home to several endangered and rare species of plants and animals, this beautiful national park has an interesting story behind its formation. 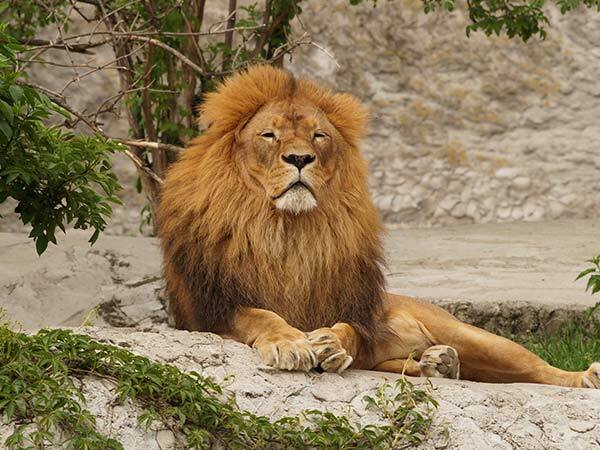 It is said that when Mohammed Rasool Khanji, one of the nawabs of Junagadh area, realised that there are no lions left in the Gir Forest which he used to hunt for recreation, he declared Gir Forest as a protected land and banned all kinds of hunting of animals. However, it was declared officially by the Indian government in 1965. Gir Forest National Park has rich biodiversity and you can spot several species of rare animals within its boundaries, such as Asiatic lion, Indian leopard, striped hyena, golden jackal and honey badger. Comprising of mainly teak trees, this reserved area is home to several species of plants, such as acacia, karanj, umlo, charal and kalam. Even though there is no proper maintenance regarding tourism in the area, it is still a preferable weekend getaway for nature lovers.